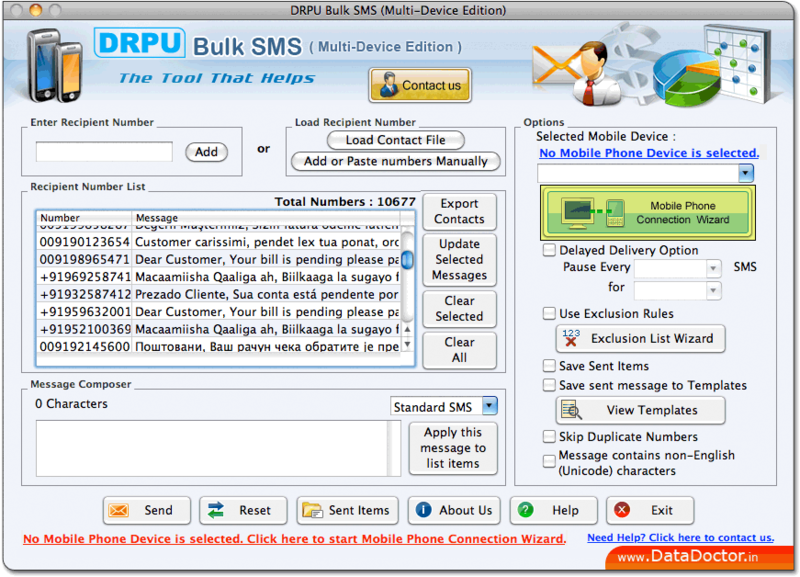 Mac Bulk SMS Software (Multi-Device Edition) broadcast thousands of text messages over worldwide location from Mac OS X installed machine using multiple GSM technology based mobile phones. Software sends unlimited product promotional messages, job alerts, standard messages or notifications simultaneously without use of internet connection and save sent messages to templates for future reference. » Broadcast bulk number of text messages over worldwide area. » Supports all major GSM technology based mobile phones. » Provide option to skip duplicate number entries. » Supports delayed delivery option to control load of sending messages. » Provide option to export saved sent item details in .txt and .html file format.